From its most spectacular bird at its most spectacular destination in the north (California Condor at the Grand Canyon’s South Rim) to its four inch gems, hummingbirds found only a few miles from its southern border, Arizona hosts a stunning diversity of birdlife in a glorious diversity of habitats. 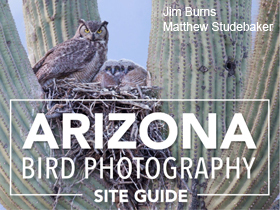 We hope this site guide helps you find these best places and provides helpful photographic tips that will reward you with many wonderful images. Take all nineteen of the North American Owl species, toss in interesting aspects of their life history, sprinkle with some of the historical myth and mystery surrounding these nightbirds, then wrap it all up in the author's personal experiences attempting to see and photograph all members of this special family of birds. This is a recipe for a great read, equal parts natural history, humor, obsession, and social commentary. Ornithologists beware. 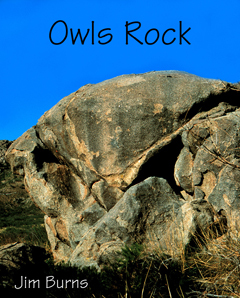 Owls Rock is not science. It does not specify how to find owls, how to identify them, nor what makes them tick. It speaks more to what makes us tick, why owls prey upon our minds, why we look for them, and how they make us who we are. Owls are special amongst birds. They are wisdom, they are dreams, they are death. Enjoy the journey. Owls rock. Jim Burns' Arizona Birds is a lively portrayal of the habits and habitats of seventy-five unique southwestern species. Burns has written much more than a field guide, site guide, or scientific survery . 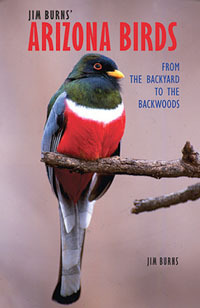 . . an original kind of birding book that is more at home on your bedside table than in your backpack . . . illustrated in full color by seventy-five of the author's own outstanding photographs. 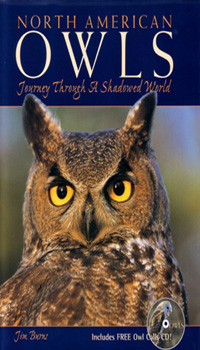 North American Owls - Journey Through a Shadowed World, published by Willow Creek Press in 2004 (out of print). Try Amazon. Other books will give you facts about owls.This one gives you facts, and superb visual images, and even more: the mystery, the poetry, the symbolism, the sheer magic of these extraordinary birds, from a man with deep knowledge of his subject. Thanks to Jim Burns for a vivid, visceral, wonderful book. 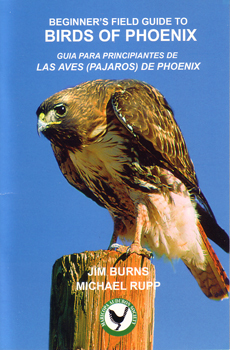 A Beginner's Field Guide to Phoenix Birds, published by the Maricopa Audubon Society in 2004. Conceived and designed by Mike Rupp, written and photographed by Jim Burns, this nifty little pocket guide speaks to children just getting interested in nature in language they will understand and enjoy.